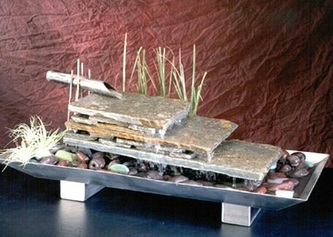 Rectangular stainless steel basin on stainless steel feet, lined with multi-color beach pebbles. 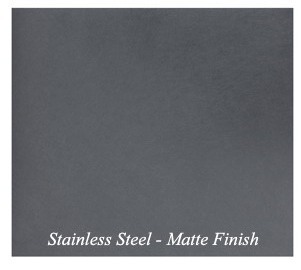 Water flows from raised stainless steel spout onto three layered pieces of natural slate. Enjoy plenty of water movement and a gentle water sound with the Flowing River fountain.